Airtel has just launched a new data plan which is called the "Airtel YouTube Flex". This plan is designed specifically for YouTube lovers as you can only use the data to stream YouTube videos only. 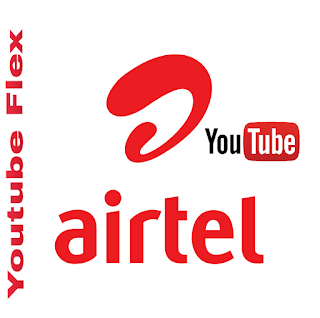 The Airtel YouTube Flex is available in two different plans which are the monthly and weekly plan. The monthly plan gives you 500mb of data at just N200 while the weekly plan gives you 150mb for just N100. Make sure you have sufficient Airtime on your Airtel SIM. Select "1" from the pop-up option to activate the weekly plan at N100 for 150mb. Select "2" from the menu to activate the monthly plan of 500mb at just N200. This data works on all internet enabled devices but as I said earlier, it can only be used to stream on YouTube only. But you can try to browse on other apps with this data.